Sri Lanka and emerging nations faces tighter credit conditions and higher interest rates, with policy rates in developed nations set to rise faster than expected, Finance Minister Managala Samaraweera said. 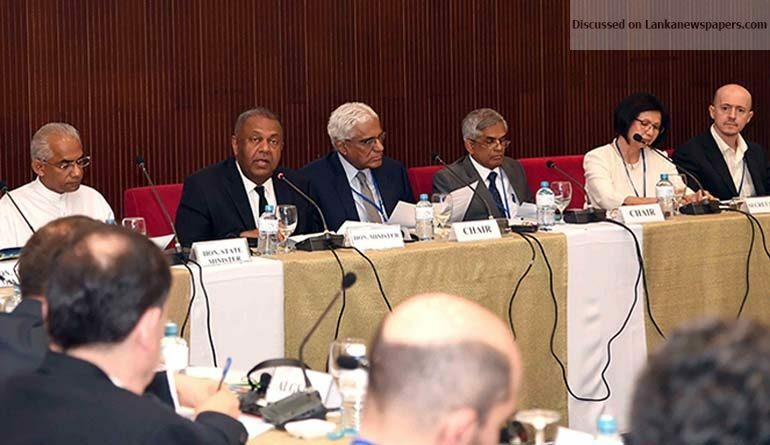 “We have seen signs of robust recovery in advanced economies, steadily firming inflation outlook and improving labour market conditions,” Samaraweera told a forum of Finance Secretaries and Central Bank Governors of 24 developing nations in Colombo Tuesday. “This suggests that policy interest rates in advanced economies would rise at a faster pace, resulting in tighter global financial market conditions. The technical sessions of the Intergovernmental Group of Twenty-Four on International Monetary Affairs and Development (G-24) kicked off in Colombo on February 27 to develop an agenda for upcoming meetings of the International Monetary Fund and World Bank in Washington. Samaraweera, as Sri Lanka’s Finance Minister is the chair of the Bureau of the IMF-backed grouping this year. With global interest rates set to rise, the grouping is focusing on debt management. Sri Lanka is also due to go to global markets shortly for a bond but has seen domestic rates also rise with following a defeat of the ruling party at regional polls. Sri Lanka is planning to pass a law to allow the country to manage debt better and avoid bunching up of debt, with large maturities of foreign debt expected from recent borrowings. Samaraweera said IMF data showed over 90 percent low-income developing countries had debt to gross domestic product ratios of over 30 percent. Revenue was about 15 percent of GDP and their primary deficit (the gap between revenues and all expenses without interest costs) was about 3 percent of GDP. Many countries also exported primary products, he said. “These structural factors are not conducive to effective debt management and entails repayments risks even at modest levels of absolute debt,” Samaraweera said. “Whilst this does not mean that all such countries may face repayment problems due to structural or policy weaknesses, we can infer an important message.